Our Vintage Floral Wedding Band is reminiscent of an age gone by with its softly woven floral pattern in 14k solid yellow gold. This band is made to last a lifetime with its exceptional handmade craftsmanship. Also available in white gold, rose gold, or platinum by request. 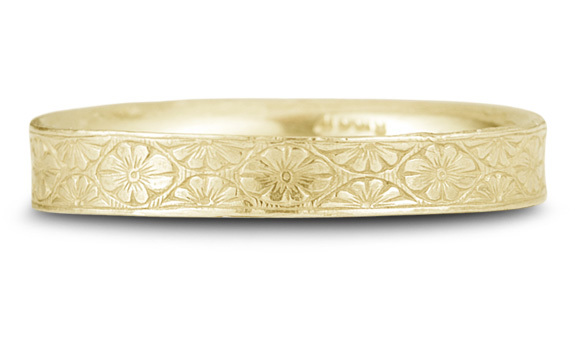 We guarantee our Vintage Floral Wedding Band in 14K Yellow Gold to be high quality, authentic jewelry, as described above.